1386 square feet with 3 bedrooms and 2 full baths. Currently used as a duplex with a 2 bedroom unit on the first level and a 1 bedroom unit on the second level. Located right across the street from Allmendinger Park. 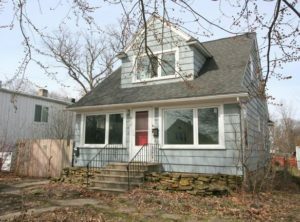 For a private viewing of 812 Pauline Blvd., or to learn more about this Ann Arbor property, contact The Bouma Group, Realtors today at 734-761-3060 or email info@bouma.com. View photos and details for Allmendinger Heights here!